Downey's Irish Pub in Philadelphia, Pennsylvania, from season 1 of Bar Rescue has closed. Philly.com reported the closure and noted that their liquor license is in safekeeping status, meaning they cannot legally serve alcohol (Link to PA licenses - click on Philadelphia, and Downey's is the first license listed and is in safekeeping). Downey's was listed for sale in May 2015 for $2.9 million, but I guess they never found a buyer at that price. The bar will now go to sheriff's sale due to foreclosure on May 3rd, 2016 and the opening bid is $124,100 with an assessed value of $936,600. (Link to Sheriff Sale site - Use 526 S FRONT ST as the address to search). The Philly.com article also states "City records show $80,712.43 in taxes, interest, and penalties for 2013 to 2016" for Downey's. Downey's was still advertising on their Facebook Page on February 29th, so it appears the bar closed shortly after that. This is the fourth bar from season 1 of Bar Rescue to close and the Bar Rescue Updates Page has been updated with this information. 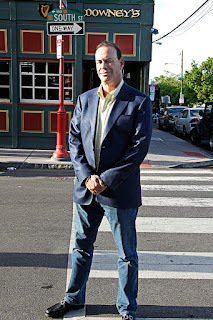 Jon Taffer has done four Bar Rescue makeovers in the Philadelphia area, and all four are now closed - Downey's, Swanky Bubbles, Lickety Split/2nd State Lounge, and Plush/Osteria Calabria.